As we all know, it has been quite a long time since the term anime was created to represent the new art form that is known as animation. Throughout the years, this term has continuously evolved and nowadays, it has become famous not only in Japan but also in the entire world. Anime as a genre is now so popular that people consider it trendy to follow anime. Thus, as a result, there has been quite a lot of anime shows being created and that number has been increasing exponentially. This is only natural, after all, as the anime fandom has grown to be quite humongous and, at the same time, divisive. That is why we need quite a lot of new anime shows to satisfy the never-ending increasing types of tastes. Consequently, with this type of growing popularity that the anime fandom has been enjoying, there will bound to be some new and “interesting”, to say the least, tastes surfacing. How did the industry deal with this situation? They just simply made more shows that can cater to those needs. Thus, alongside with the existence of some of the most breath-taking, award-worthy anime shows, there are those that follow a more bizarre and weird path. However, you should never underestimate them, as you will learn about their own strength through this list of So Bad It's Good: 5 Strange Anime That You Need To Watch. Known in the West as Hip Whip Girl, you can bet that this anime show is indeed as weird as its name suggests. To put in bluntly, this strange anime is about a female-only sport that is called Keijo. This fictional sport requires its contestants to try their best to stand on a platform floating above the water. The contestants can try their best to either push the opponents out of the platform into the water or just straight up incapacitate them. If you are wondering what is so strange about this game, I can tell that it is the fact that it only permits the contestant to use their buttocks and breasts. If you are thinking that it is not weird enough, there is also the fact that the characters even named their moves? The storyline of this weird anime will follow closely Nozomi Kaminashi, a Keijo player who hopes to become the very richest player in the whole of Japan. If you are an old fan of anime, I am quite sure that you do know of the late Satoshi Kon. Sometimes we call him Yoshihiro Wanibuchi as he credited himself. This guy is undoubtedly one of the most important directors in the history of anime as a whole. After all, I can’t think of anyone who can rival him in the uniqueness of vision and style. He was truly one of a kind, unlike any other anime director. 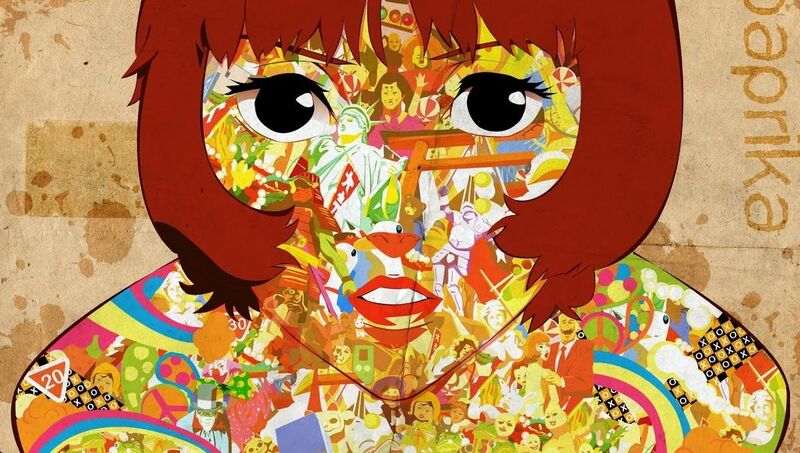 Out of all of his works, there is one that showcases perfectly his distinct style of animation and storytelling, the PAPRIKA anime movie. This story has become quite famous for its complex and strange animation style as well as the storyline. As a result, it has created quite a huge impact on the industry as a whole. In fact, the reach of this anime movie did not only stop at Japan, as the 2010 blockbuster and instant cult classic Inception from the hands of Christopher Nolan has shown quite a bit of similarity. 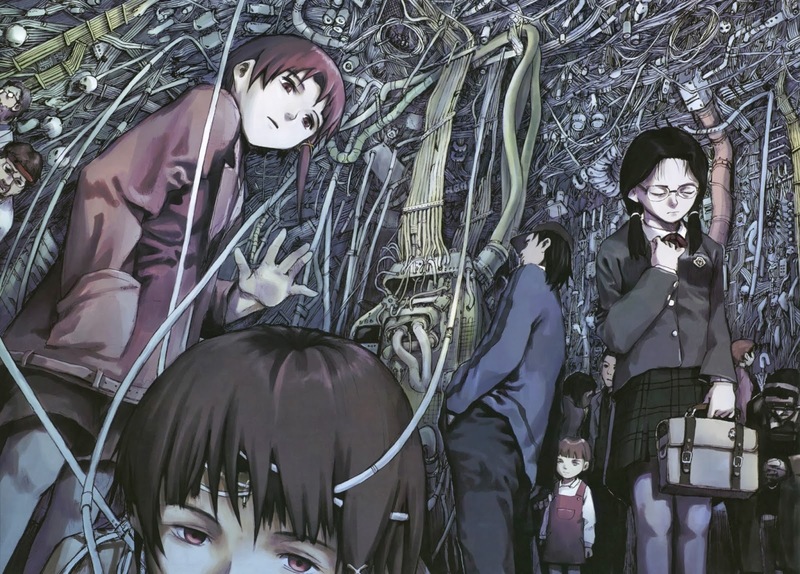 Released in the late 1990s, this anime show follows the steps of a 14-year-old girl named Lain throughout her own journey exploring a mysterious online world that is only known as “The Wired”. At the start of the series, Lain is a somewhat socially isolated, introverted, and awkward normal girl. However, all of her life was turned upside-down after some bizarre incidents start appearing. At first glance, the plot seems quite straightforward, doesn’t it? However, if that is all there is, then there is no way that I will leave it here on the list. After a relatively short time frame, you will undoubtedly find out that things are not what they seem at all. After all, things got crazy and complicated quite fast. This anime jumbles all kinds of things together, from a quite creepy soundtrack to religious ideologies, and even scientific theories. At the end of it all, you will have to ask yourself just WTF did you just watch. Whether or not you are an old fan or a brand new fan of anime, there is no way that you do not know of this anime series. Of course, there may not be that many new fans who have watched it, but they certainly must have heard about it. After all, this anime show is the first one that will appear in people’s minds when they think of “so bad it’s good”, the anime version. 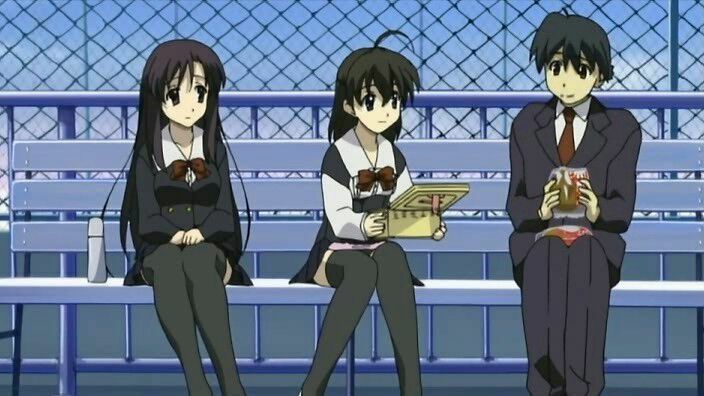 In fact, there is no word that can describe the level of infamy that School Days have among the community of anime fans. This supposedly high-school romance story quickly turned out to be quite bizarre pretty fast when our main character, Makoto Itou, took the affection from two of his girlfriends to a whole new level of extreme. After a first few normal-looking episodes, this series just straight-up get filled to the brim with WTF scenarios, featuring over-the-top violence and promiscuity. This anime show may actually be the most popular one out of every entry in the list. However, this does not take away any speck of weirdness from it. Adapted from an original manga that was released way back in 1993, the anime does not have a singular main character. 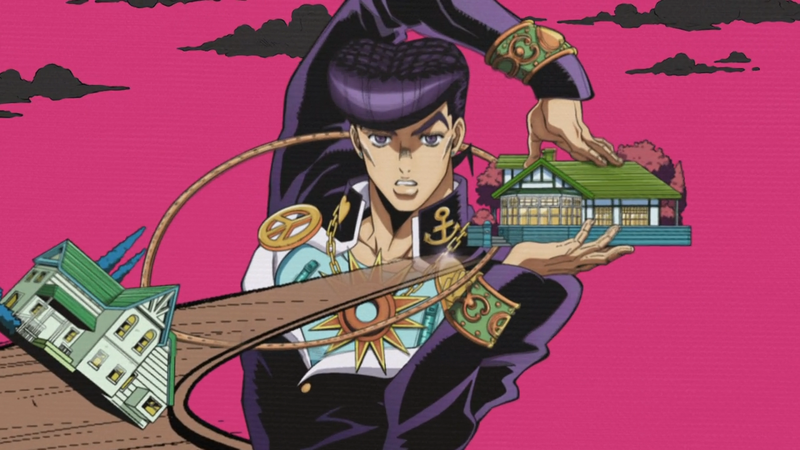 Instead, it follows the steps of many members of the Joestar family, who are usually on a quite bizarre journey to defeat all kinds of supernatural creatures. Despite taking quite long to be adapted, this story quickly became a cult classic due to the flamboyant masculinity of its heroes as well as the villains that are inspired by rock stars. The strangest element of this show for me, personally, is its fighting scenes that can only be called outrageous.